Mr. Pinegar is a co-founder of the firm and currently serves as the firm’s President and on its Board of Directors. Mr. Pinegar is a nationally recognized leading attorney and a member of the firm’s Business & Finance Section, with extensive experience in the securities and corporate governance fields. He has represented public and private issuers in securities offerings, mergers, acquisitions, spin-offs and joint ventures. Mr. Pinegar counsels clients on a broad range of corporate, securities and business-related matters, including directors’ duties and responsibilities and other aspects of corporate governance, disclosure issues, corporate compliance matters and internal investigations. Mr. Pinegar also advises boards, independent directors and special committees of directors in routine matters and in crisis situations and where the satisfaction of their fiduciary duties is subject to particular scrutiny. Those clients are involved in a variety of industries, including health care, information technology, construction, resort ownership and management, communications, security, direct sales and retail. Mr. Pinegar advises executive management, boards of directors and board committees regarding disclosure compliance under federal securities laws as well as the changing corporate governance environment and current and prospective governance requirements and attitudes (including under Sarbanes-Oxley, SEC rules, NYSE/NASDAQ rules and state law). As a member of the firm’s Board of Directors and as its senior executive, Mr. Pinegar oversees the operations of the firm and its various offices. He is also active in community affairs as a member of the Salt Lake City Chamber of Commerce and as an adjunct professor of law at J. Reuben Clark Law School (Brigham Young University) in Provo, Utah. He has authored articles for legal and trade journals on international legal matters and the practice of law and lectured on international business transactions. 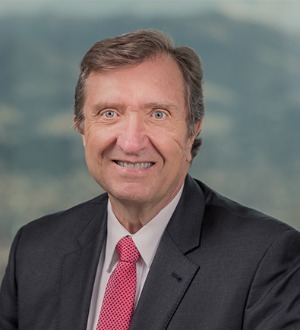 Mr. Pinegar has been repeatedly recognized as a “leading lawyer” in the corporate, securities and corporate governance fields by, among others, Chambers USA: America’s Leading Lawyers for Business; The Best Lawyers in America; and Utah’s Legal Elite.